When I first picked this book up, I laughed. 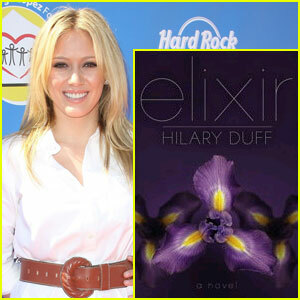 Because I really could not believe that Hilary Duff had written a YA book. So I thought, "What the heck. I'll read it." I found myself being completely surprised with how good it was. "Well there is like, a tree. There are like, purple leaves on this like, tree." The book was nothing like that. It was actually well written. But part of me wonders how much of the book Hilary Duff wrote. and decided that writing a YA novel would be "fun". But you know, Hilary Duff might surprise us all and actually have a brain. To be honest, there were a couple parts in this book that creeped me out. Because I get really creeped out by stalkers. And some parts were pretty darn violent. I guess little miss Lizzie Mcguire has a dark side to her. and it kept me thoroughly entertained for the 3 days it took me to read it. I thought it was kinda silly how easily Clea fell for Sage. and the next she is making out with him in her car. I would not fall in love with him. But maybe all this ranting is because I didn't really like Sage. Nope, I really enjoyed Ben. I wanted Clea to get with Ben so badly! But then again, it probably will happen in the (I'm assuming) second book. Because that would be the cliche thing to do. But you never know, she might just knock our socks off with this one. I'm actually looking forward to read this one. so I had no prejudice towards the book. I'm still pretty skeptical of how much she actually wrote- it's actually a co-written book with Elise Allen but you hardly see that info anywhere and mostly I think it was likely ghostwritten by Elise. Still interesting to learn it's good though! Hmmm. Okay. Well, then, I might have to give this one a chance. I totally agree with your review. I got the book right when it came out. Out of curiousity really, and I did read a few reviews that said it was shockingly good. So like you, I thought, what the heck. While I enjoyed the book, it wasn't a massive page turner to where, with most books I read, I have to have it with me at all times. It took me a while to finish it. I do think though, that I might just get the second one, again, out of curiousity. I wasn't sure if I was going to read this book. But now, I'm thinking about it. 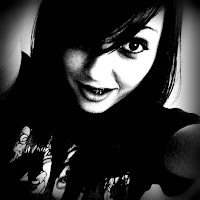 I really liked this one, actually. Elise Allen is so fabulous!